With Thanksgiving just a few days away, it is the perfect time to talk about giving thanks. After all, that is what this day is all about: gathering with those we care about, sharing a feast and expressing gratitude for our abundance. Each year brings a cornucopia of things into each of our lives: challenges, changes, adventures, opportunities, losses, renewals, laughter, sadness, lessons and stresses. 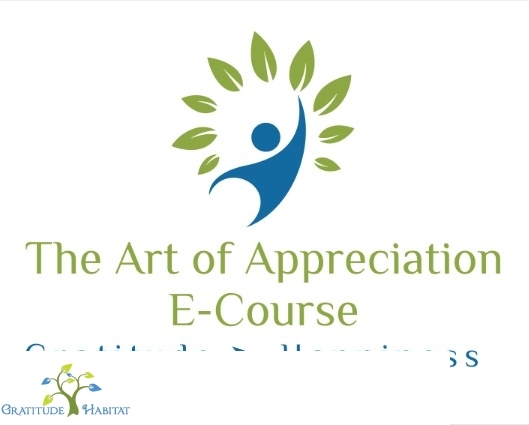 It is always easier to appreciate the obvious positives – a promotion, wedding, graduation or birth – but many of us do find ourselves lacking when it comes to being thankful for life’s hardships, losses and even day to day irritations. Yet gratitude isn’t only about being thankful when things are good but about finding the blessings in all things. When we appreciate everything that happens to us, it allows us to move forward rather than remain stuck in our place of annoyance, anger, disappointment or sadness. Gratitude allows us to find that silver lining, to see the good, to grow from adversity, learn from our mistakes and find the upside even during life’s most challenging times. Expressing gratitude has been proven to boost our health and happiness, strengthen our relationships, allow us to better handle stress and adversity, and make us more productive and creative. On Thursday as we sit down to our Thanksgiving feast, let us all allow our hearts to blossom with gratitude for all things, and watch how love, happiness, tolerance and abundance flourish. Happy Thanksgiving! May your days be filled with gratitude and good things. 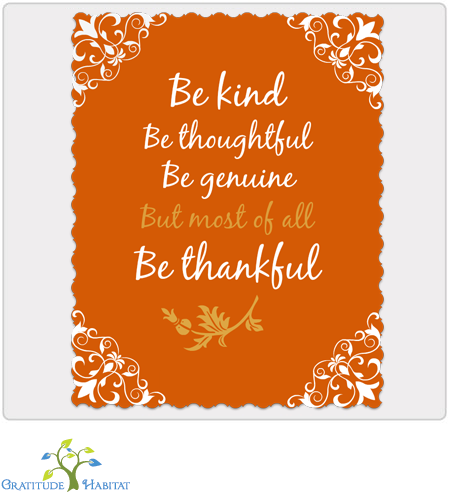 A wonderful reminder to be thankful, this print is available in our Gratitude Gift Shop. Click to order yours.